Central Business Sales is delighted to offer to the market a very successful hot food takeaway, which has been run by the current owner for over 6 years. The owner is reluctantly placing the business on the market due to family commitments. 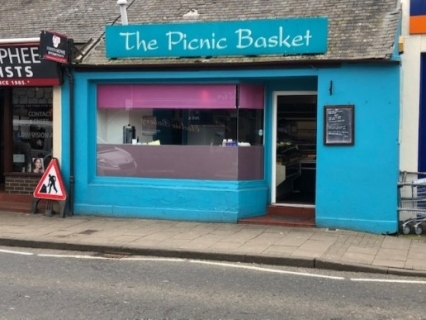 It has built up an excellent reputation and benefits from a very high local repeat customer base, as well as a great passing trade due to its ideal trading location in the centre of the town. The takeaway offers a full hot and cold filled menu for takeaway and delivery including hot and cold filled rolls, breakfasts, paninis, toasties, chips, burgers, soup, salads, curries, wraps, omelettes, soft drinks, confectionery and cakes. There is also a scope to develop the outside catering side to the business. The premises are a single front unit with the main serving and cooking area to the rear. All the equipment, fixtures and fittings are included in the sale. There is a cooker, bain marie, microwave grill, 2 chilled display units, fridge and a freezer. There is a storage area and a staff toilet also located to the rear of the property. The business is being offered on a leasehold basis with 7 years remaining on the present lease, with a new or extended lease available. The current rent is £7,200 and 100% rates relief applies under the Small Business Bonus Scheme. The business is run by the owner and 1 full time and 1 part time employee and is open 5 days a week 09:00-15:00.